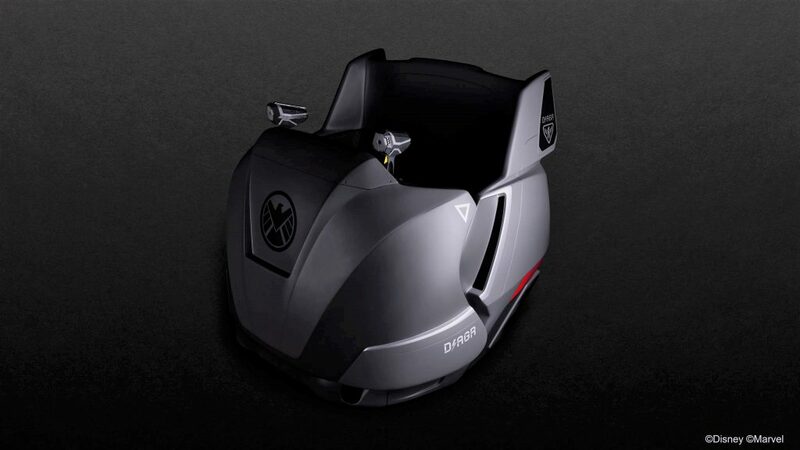 With Ant-Man and the Wasp: Nano Battle opening later this month at Hong Kong Disneyland, Disney has released some more renderings of the ride vehicle and blaster guests will use. First, a bit of the backstory. The story is connected to the Iron Man Experience next door. In the Iron Man Experience, Hydra is attacking Stark Tower in downtown Hong Kong to get the Arc Reactor. Not only is he attacking Stark Tower, but also the SHIELD Science and Technology Pavilion located in Hong Kong Disneyland’s Tomorrowland. It’s this facility that you enter, only to find out that it’s in lockdown and Ant-Man and the Wasp need your help. Guests are called on to slow down the waves of Swarm Bots so that Ant-Man and the Wasp can shrink down and blow them up from the inside. To help Ant-Man and the Wasp, guests will board the Defense Assault Ground Rover (DAGR). The DAGR is a special personnel vehicle developed at the SHIELD Science and Technology Pavilion located at Hong Kong Disneyland. 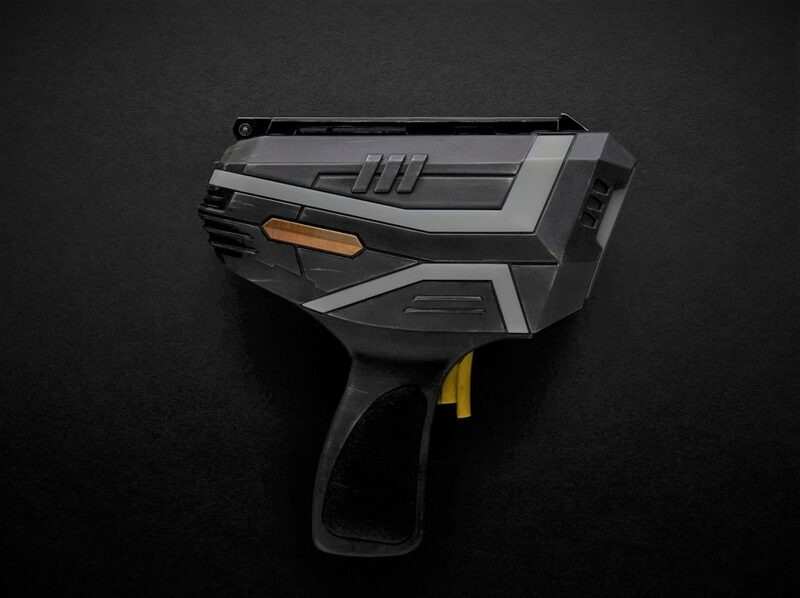 Guests will then be issued an EMP blaster, which is an electromagnetic device that allows guests to disable the bots that have taken over the SHIELD Science and Technology Pavilion. Ant-Man and the Wasp: Nano Battle opens at Hong Kong Disneyland on March 31, 2019.